Copper Mountain Resort was busy all summer putting in and updating 2 chairlifts just in time for the 2018-2019 ski season. The chair updates will increase the distribution of skiers around the mountain much more efficiently and provide direct access to the top from Center Village. The resort is a great place for families with children as it has tubing, ice skating on West Lake and many fun events! Copper Mountain is also home to Copper Woodward, a progression training facility which also hosts camps during the summer and winter. 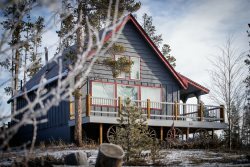 There are so many reasons to visit Copper Mountain all year round, below are a few noteworthy winter events, festivals and things to do on your next trip to the area. From watching the US Ski & Snowboard Team compete in the Grand Prix to the World’s Largest Easter Egg Hunt, your family is sure to be entertained all winter long. Head up the American Eagle chairlift for a mid-mountain fine dining service at Solitude Station with live music by Beau Thomas followed by a ski/ride back down to Center Village. Gather with other passionate skiers and snowboarders and celebrate all things winter! Participate in daily giveaways and test the latest gear. Copper chefs compete for the best wing recipe and wine pairing in this unique twist on a chicken wing challenge. Help Copper celebrate the end of the season with tons of live music, fun contests, the World’s Largest Easter Egg Hunt and Red Bull Slopesoakers!